We join the Fellowship, draft Dupre and then do the Isle of Fire thing. 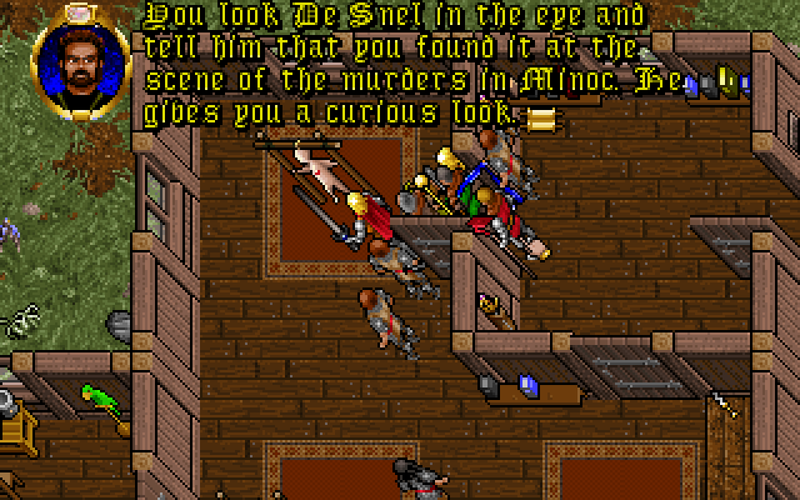 As mentioned before, you're supposed to find a Serpentine Dagger at the murder scene in Minoc. If it doesn't show up owing to a bug, you can still trigger this event by picking one up off the table (or anywhere, really) and talking to De Snel. He'll state that the murder scene dagger was stolen and deny any further knowledge, though he will try to goad you into accepting a "demonstration" from him. If you do that, he'll attack (and you can kill him without any repercussions). 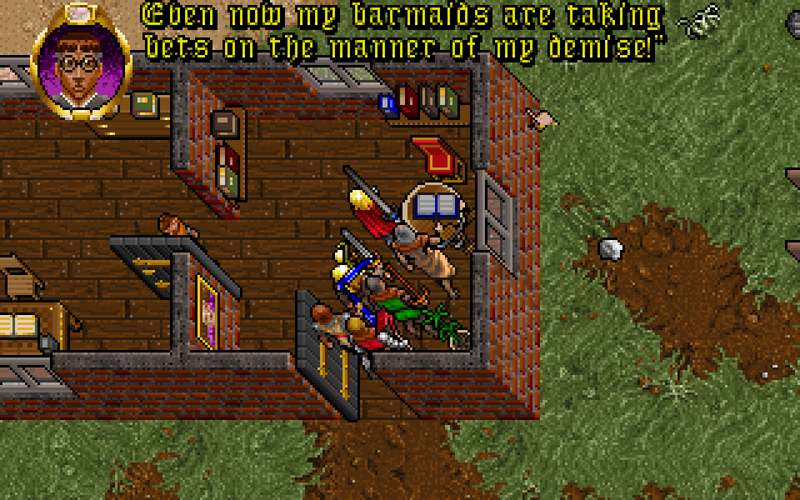 There's also another quest in Minoc that we can take part in, that being of Sprellic's dilemma. 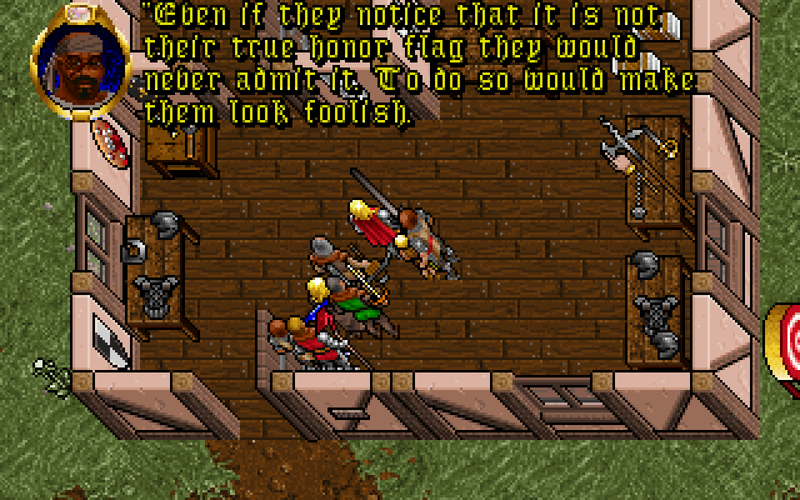 If you talk to him, you learn that he was conned (by the impostor Avatar) into taking the Honor Flag of the Library of Scars, and that its students have all challenged him to a duel to the death to avenge this insult. If you agree to help him, there are two ways to resolve the quest. 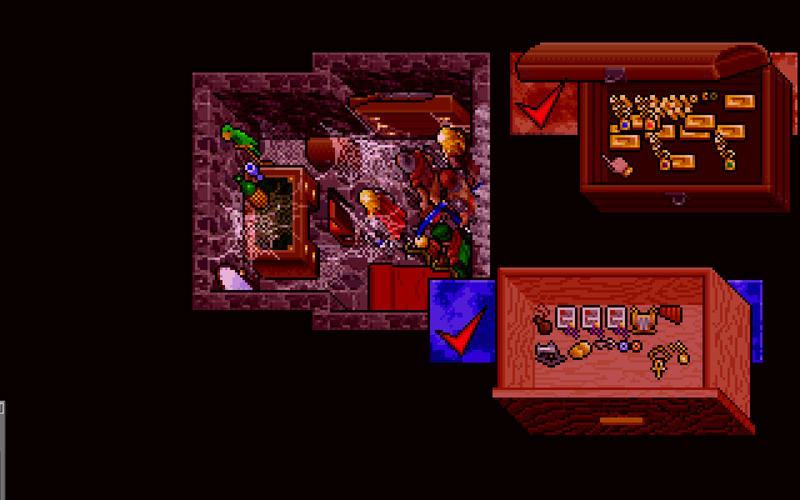 The first is to visit Kliftin at his shop and tell him Sprellic's story. He'll agree to make a replacement flag and tell you to return in a few hours. Come back roughly three hours later and he'll have completed it; just turn that in to Syria at the Library and the three will call off the duel. The other option is to duke it out. Talk to the fighters and tell them you've agreed to become Sprellic's champion, then show up at noon in the town square the next day and have at it. Optionally, you can also place a bet on Sprellic at the bar, then cash in your vouchers for a sizable amount of money once you've won. 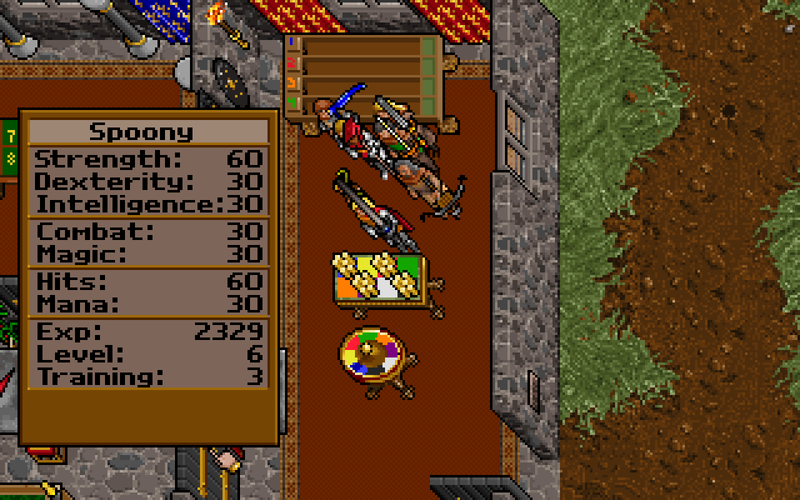 I also went ahead and got some training and extra armor, and marked two stones for Serpent's Hold and Buccaneer's Den. 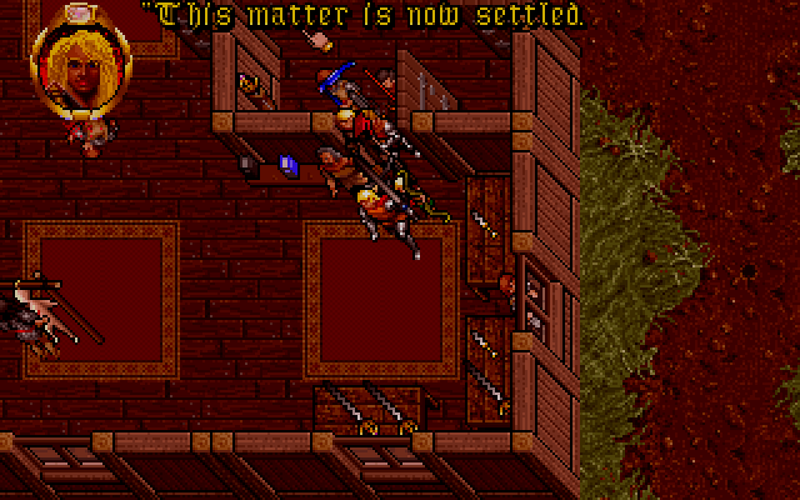 Buccaneer's Den is home to probably the most famous exploit in Ultima VII - that being the gambling hall. Once you're a member of the Fellowship, the odds on the games here drastically tip in your favor, paying out 6-to-1 on the Rat Race and 14-to-1 on the Virtue Wheel. This means you can bet on every lane/square on the games and still make money. So effectively, you can come in with as few as four coins and leave with a small fortune. 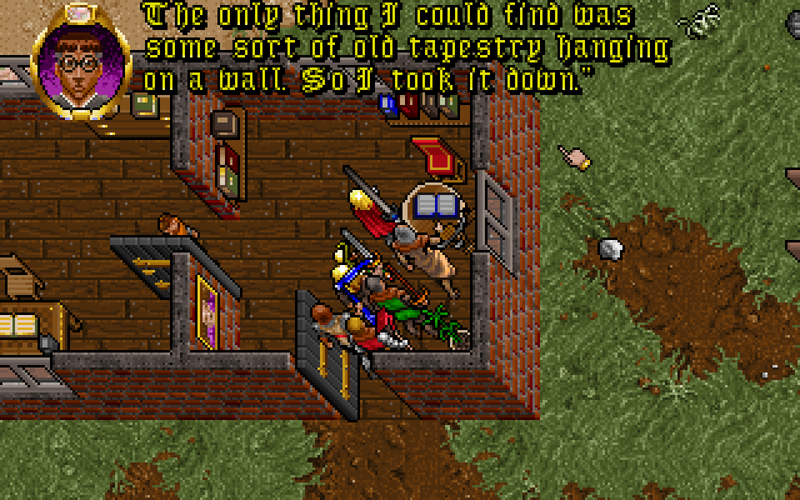 I wouldn't recommend getting too much cash though, as that can cause the game to run out of memory and crash back to DOS. Capping it at about 3000 and coming back when you need more (not a problem if you have a marked stone) is generally pretty safe. And as a bonus, here's a hidden secret in the game. 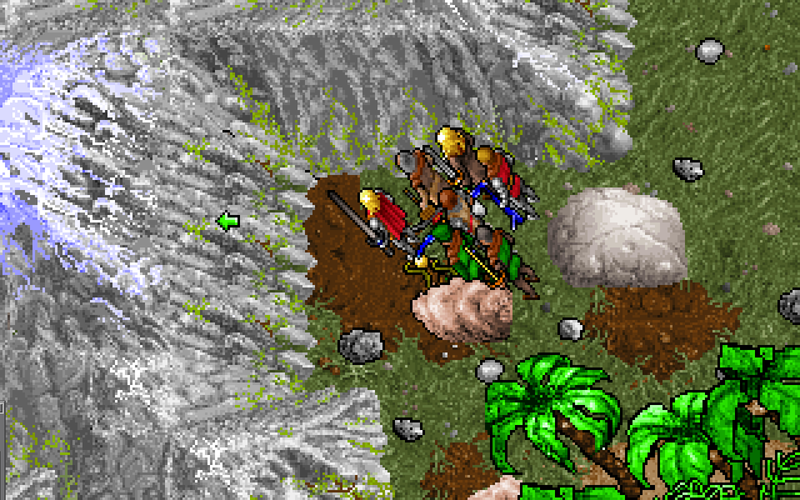 On a small island north of Jhelom, you can find an area that looks like this. 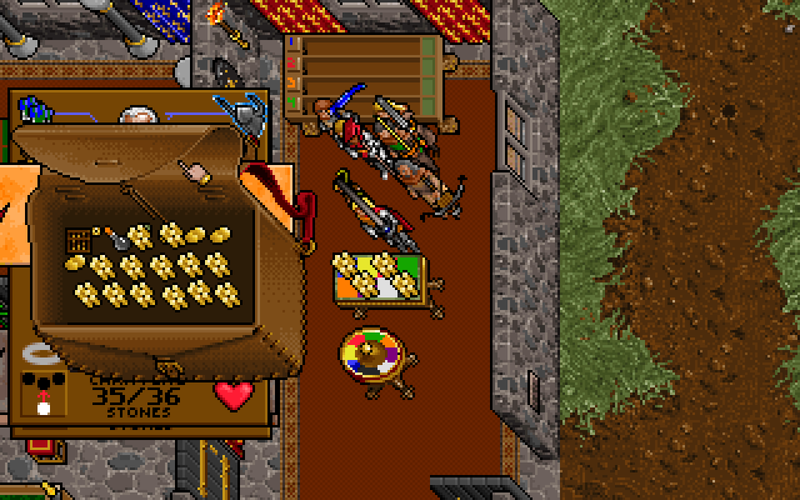 Walk left into the mountain to find a hidden room with lots of gold and a few other goodies. The key to the chest in here is found in the desk.